No visit to the Hill Country would be complete without seeing the breathtaking Horton Plains National Park, an hour away from Nuwara Eliya. 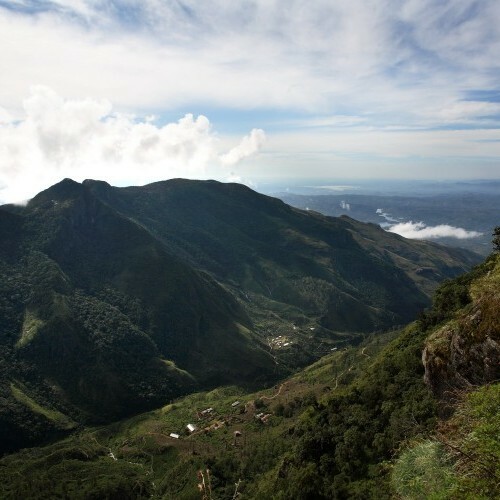 These plains, formed by millions of years of erosion, lie right on top of Sri Lanka's mountains. Here large herds of elk, silhouetted against clouds of the lowlands, move among scarlet rhododendrons. World's End gives you unparalleled views of the flatlands to the south, as you teeter on the edge of an 800-metre high precipice. 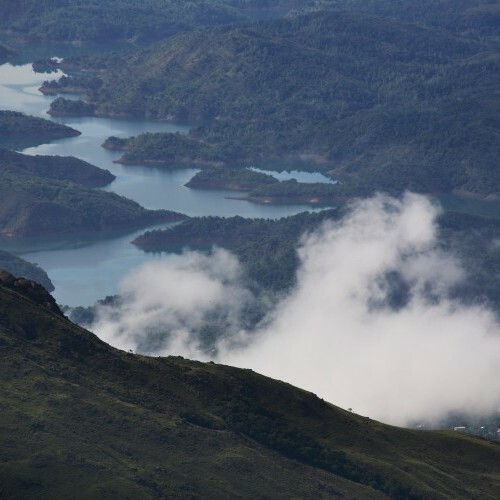 Buffeted by the wind, the highlands of the Horton Plains National Park include some of the island's most spectacular landscapes, with stretches of grassland and forest, giant ferns, trees clawing the clouds, and peat-rimmed lakes. 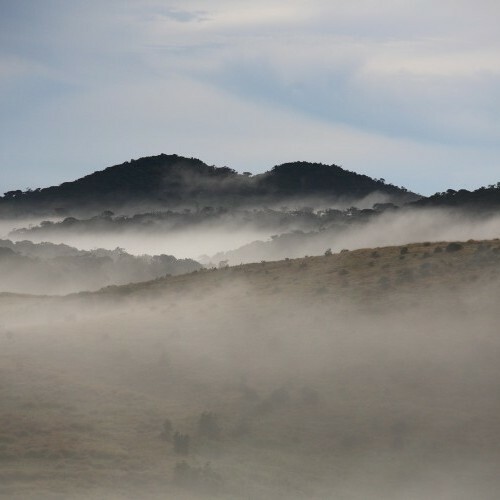 This strange, wild, almost melancholy landscape was discovered by the tea planter Thomas Farr, who named it after Sir Robert Wilmot Horton, governor of the island from 1831 to 1837. 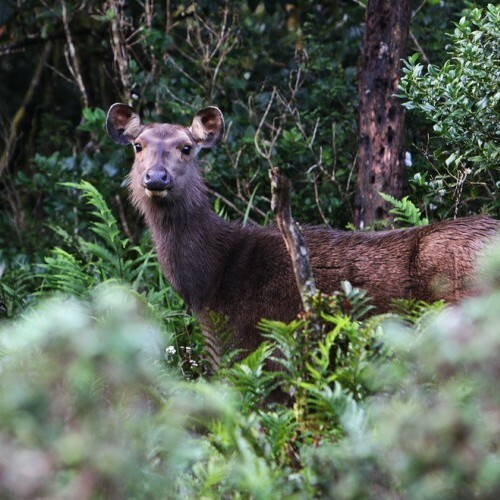 Horton Plains is also a particularly good area for spotting endemic bird life, including the Sri Lanka Whistling Thrush (endangered), Sri Lanka Bush Warbler, Sri Lanka Blue Magpie, Black-throated Munia, Orange-billed Babbler and Dull-blue Flycatcher. 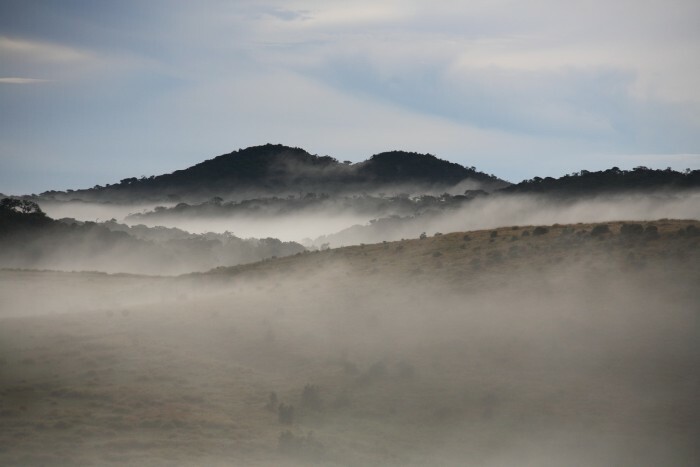 Overlooked by the Kirigalpota mountains, the second highest range on the island (2395 m), Horton Plains forms the western edge of the Hiputale range, poised high above the Ruhunu lowlands. Buffeted by the wind and too high (1800-2160 m) for farming, these vast highland prairies (patna) do not permit any kind of serious crop cultivation and have escaped the intensive exploitation of the centre of the island. 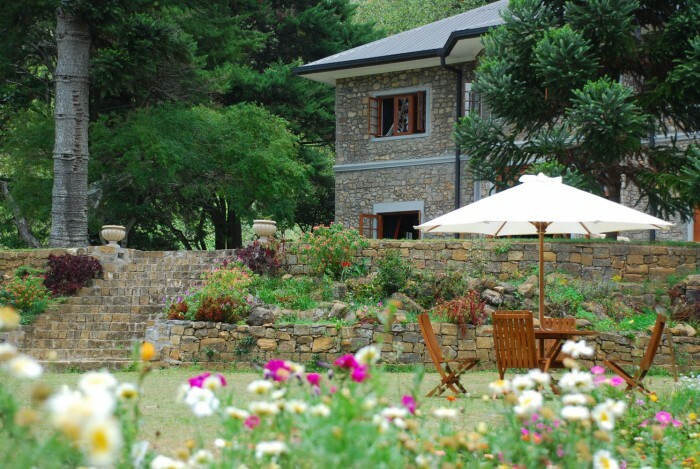 Most of the principal sites of interest can be visited in a 3-hour tour from Nuwara Eliya. Explore the Hill Country and areas near Horton Plains. Luxury colonial bungalow ideal for those looking for pampered seclusion in the upper Hill Country. This restored and refurbished Scottish country mansion boasts landscaped gardens full of bird life, richly decorated interiors, and home-cooked food.